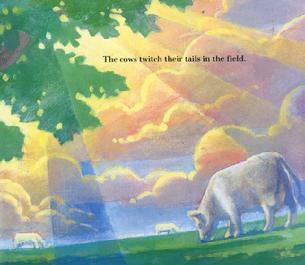 About a third of my books for children tend to focus on farm life. Although I didn't grow up on a working farm, I did grow up in a small cattle town in southern Texas where nature was at my fingertips. A good day was a day spent with friends exploring the dense woods and open cow pastures nearby. 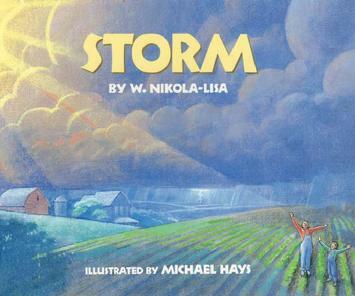 Storm comes out of these childhood experiences. Although we lived in Texas during one of the state's longest droughts, when it did rain it rained and thundered quite hard. 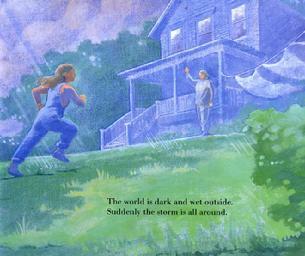 It's the rhythm of the rain and the sound of the thunder that I tried to capture in this story.